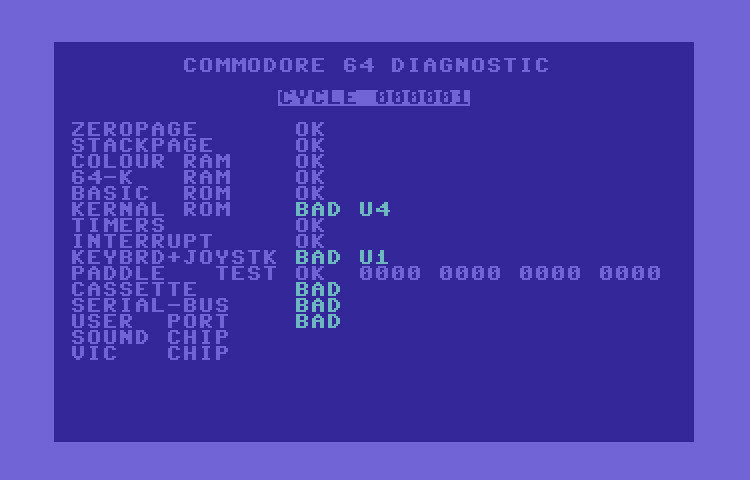 Other than the Commodore part number, I don't know much about this diagnostic cartridge. WinVICE didn't pass many of the tests as you can see from the images. Included in the archive is both a .bin and .crt file and a PDF of the manual. Unfortunately the manual is in German.